Mothers always worry about their children, no matter how old they are. Marie B's daughter was moving from North Carolina to Massachusetts, hauling all of her possessions in a horse trailer along with her 2 Huskies in the back. Late on that Friday night, her car broke down. 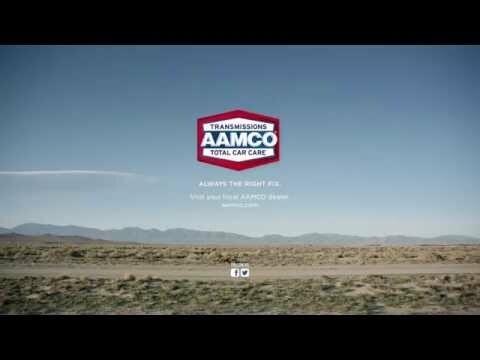 Fortunately, AAMCO of Morristown, NJ came to the rescue and got her back on the road the very next day. The peace of mind this mother received prompted her to express her gratitude to the AAMCO center owner, Vince Caranante. I am writing to try and express my gratitude for the treatment you gave my daughter when they were stranded on the Jersey Turnpike. As they relayed your efforts to me, you have no idea how much relief it gave me. How fortunate they were to find a genuine, caring and competent man. Please know your good deed is very much appreciated. May your kindness be returned to you many times over. You made what seemed a very dark situation so much brighter. Again, thank you for caring.